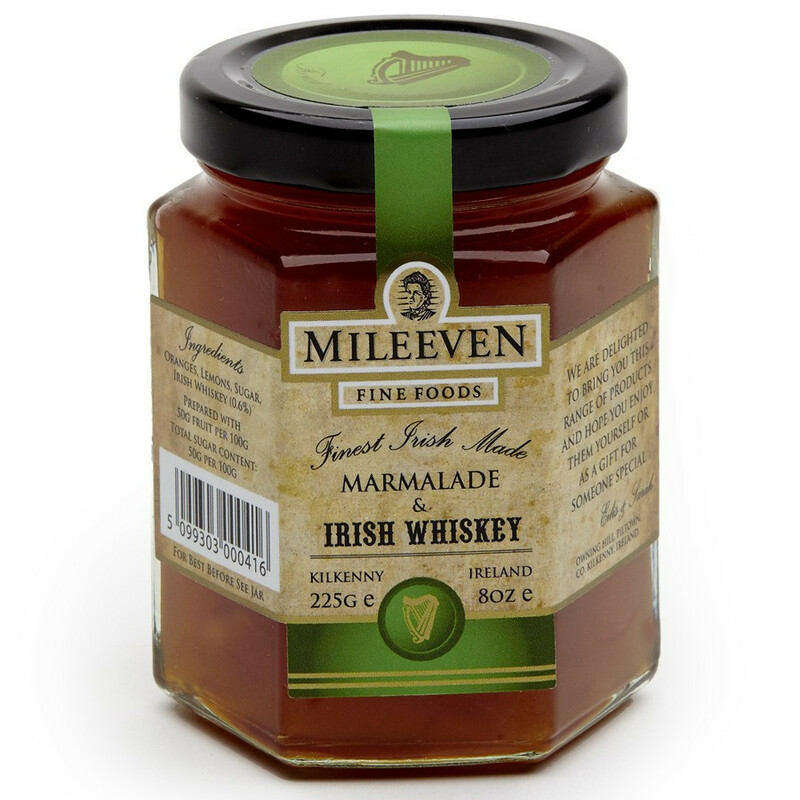 Tasty mix of sun-kissed fruits (orange, lemon) with Irish whiskey tip. This traditional marmalade is a tasty mix of sun-kissed fruits (orange, lemon) with Irish whiskey tip. Ingredients: orange, lemon, sugar, irish whiskey (0.6%). Total sugar content 50g per 100g.